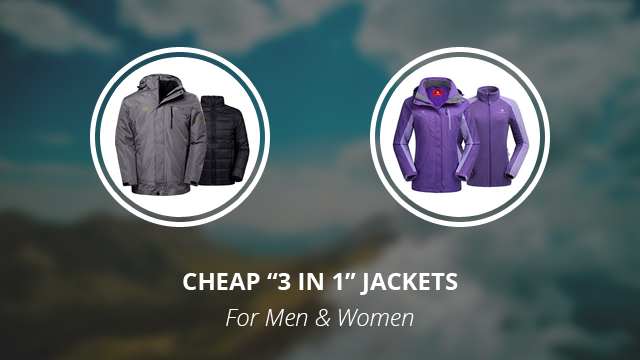 In today’s selection we will be taking a look at 7 affordable 3-in-1 jackets for both men and women. In some of our past selections and reviews we have looked at several 3-in-1 jackets, but today’s picks are in general cheaper than any other 3-in-1 design we have included in the previous pieces. For those who are unfamiliar with what a 3-in-1 jacket is, it usually consists of a waterproof or highly water-resistant outer shell and a fleece inner jacket. Both of these, according to what type of weather you will be dealing with, can be worn separately, as jackets on their own, or put together as the “third” jacket for when it’s really cold out. With that out of the way, let’s get started with the jackets we have selected. 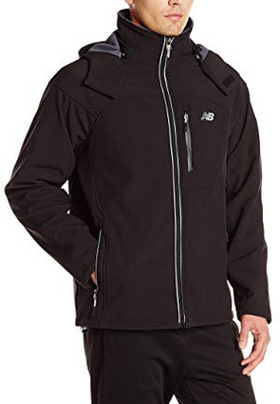 We will be starting things off with the men’s selection and the first jacket is by New Balance, which comes with a 92% Polyester and 8% Spandex shell. 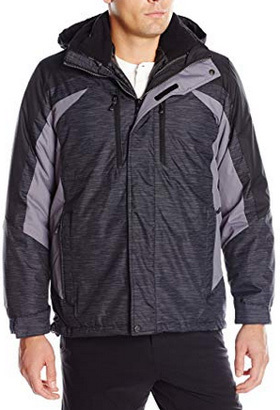 This outer shell is similar to that of a soft shell jacket, which is one of the best sports options due to breathability and comfort in wear. 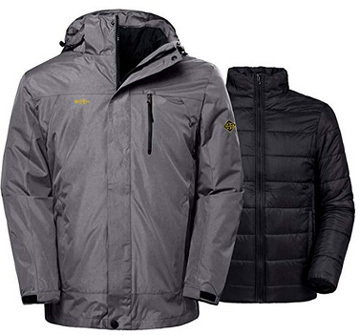 It is water and wind resistant, with a detachable hood, which is lined for added warmth. There are two side pockets and one chest pocket, all with zipper closures. The inside of this outer jacket is also lined with fleece, which is not very common with 3-in-1 systems, as they are usually lined with mesh fabric. 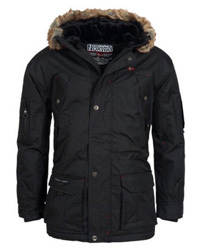 For this reason, this jacket is quite warm on its own and even more so when put together with the inner fleece jacket. Speaking of which, it is made of 100% soft Polyester fleece, which provides great insulation and comfort. There are three colors to choose from: Black, Orca and Lead. The second design for men is by Wantdo, a brand that has appeared a few other times on our site. This is the Interchange 3 in 1 Ski Jacket, which resembles a short parka in how it performs. It is a heavy winter jacket. 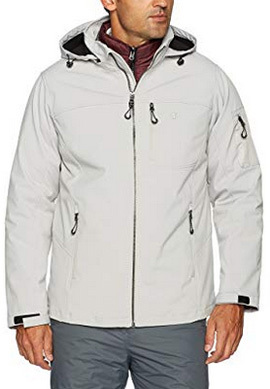 The upper jacket is wind and waterproof, with a detachable hood and three outer pockets, two on the sides and one on the chest, as well as one inner security pocket. It comes with adjustable sleeve cuffs and the main zipper is covered by a storm flap. Its shell has also been treated with water-repellent coating in order to minimize water contact. The inner jacket is also not one you’d find in a typical 3-in-1 jacket system, as this one is a puffer jacket, with 2400 g cotton padding for insulation. It comes with two side pockets and a sturdy medium-height collar. This is a design most suitable for very unstable and cold conditions, where rain and wind are to be expected. There are four colors available: Army green, Dark blue, Black and Grey. The following jacket is by ZeroXposur, the Force 3 in 1 Systems design, which is a much lighter jacket in comparison to the previous one. It is made of 100% Polyester on the inside and out, and it comes with a water-repellent shell, which is also wind resistant. The hood on the outer jacket is adjustable and removable, and the collar is high and also comes with chin guard for protecting the chin. There are four outer pockets on this jacket and the sleeve cuffs are adjustable with Velcro fasteners. 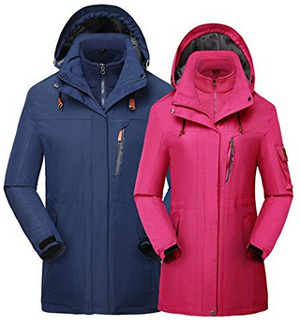 The inner jacket is a puffer design, which is insulated with poly fill, an insulating and light padding. There are two side pockets on the inner jacket and its hem and cuffs are elasticized. This design is available in the color Black Dash. This fourth and last design for men is by IZOD, a soft shell jacket system made of 100% Polyester. 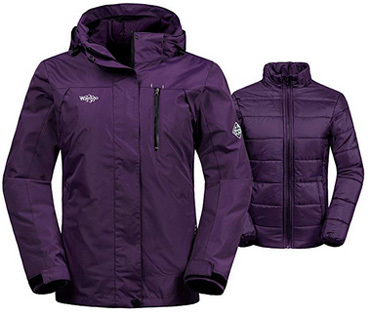 The upper shell is water and wind-resistant, with four pockets and an adjustable and detachable hood, which is lined. There are Velcro tabs on the sleeves for adjustment and a draw cord in the bottom hem for closing off the jacket from the elements. 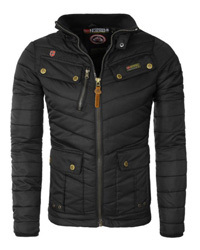 The inner jacket is a thin padded jacket, with a short collar and three pockets, one of which is on the inside. It is insulated with Polyester and it’s suitable to wear throughout autumn as it is lightly water-resistant on its own. This is a breathable 3-in-1 system, which comes in the colors: Black, Midnight and Stone. 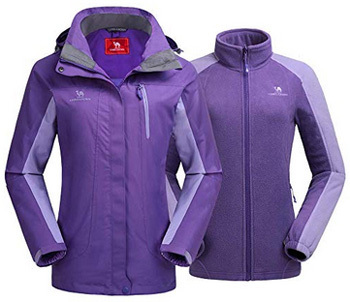 The first design for women is by Camel Crown, a sports 3-in-1 jacket, which comes in an ergonomic and comfortable design. The outer shell is Polyester, as is the inner fleece jacket, and it has a water column rating of 10.000mm, which makes it waterproof. 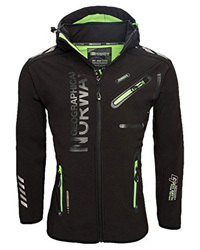 It is also windproof and designed for movement, therefore it can be worn in a variety of different outdoor sports. There are two side pockets and one on the chest, its cuffs are adjustable with Velcro tabs and the hood is adjustable, as well as detachable. The collar is high and the main zipper is covered by a storm flap. The inner jacket is made of fleece and it comes with two zippered side pockets, a medium-height collar and elasticized sleeve cuffs. The color selection includes: Black, Coral red, Lilac purple and Ocean blue. This next jacket is by Wantdo and it is the women’s version of the Interchange 3-in-1 Ski jacket. Similar to that of men, it is made of Taslan nylon, which is quite a durable fabric and has a high water-resistance ability. 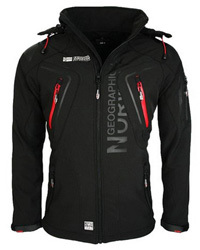 It is also a windproof jacket, with four pockets on the upper jacket and two on the inner one. The shell is adjustable at the sleeves, hem and hood, which is also detachable, and it comes with a high collar and a storm flap over the main zipper. The inner jacket is a puffer design, with cotton insulation and elasticized sleeve cuffs for a better fit and insulation. There are five colors to choose from: Blue, Wine red, Light purple, Black and Navy. We will be ending today’s selection with a sports jacket by HILEELANG. It is a very elegant design, despite being made for sports, as it comes with an adjustable waist and flattering cut. The outer shell is fully waterproof, with a very high collar, adjustable hood and sleeve cuffs, and a covered main zipper. There are four outer pockets on the upper jacket, one of which is on the left sleeve. The inner jacket is made of fleece that is very soft and comfortable. This is quite a warm system, as well as breathable, which comes in the colors: Purple, Rose red, Sky blue and Navy, as well as with both standard and mid-length options.